Like every year, this year too, the actors are celebrating Ganesh Chaturthi in their own special ways. While Bhoomi actor Sanjay Dutt rang in the festival a day earlier with wife Maanayata Dutt, Baadshaho actor Ajay Devgn reached Lalbaug, a prominent locality in Mumbai to offer his prayers to Ganpati Bappa. Ganesh Chaturthi 2017: Actors offer prayers to Lord Ganesha on the festival. The ten-day festival of Ganesh Chaturthi finds a special space in the hearts of celebrities from both the Indian film industry and the television industry. Celebrated with great fervour and enthusiasm, the festival witnesses the most candid moments of actors with their friends and families. With people, all prepped up to welcome the Lord Ganesha into their homes, our much-loved celebrities are not far behind. Like every year, this year too, the actors are celebrating the festival in their own special ways. While Bhoomi actor Sanjay Dutt rang in the festival a day earlier with wife Maanayata Dutt, Baadshaho actor Ajay Devgn reached Lalbaug, a prominent locality in Mumbai to offer his prayers to Ganpati Bappa. Pictures from Sanjay Dutt’s home bringing in the idol of Ganesha also surfaced where Sanjay’s son was seen all excited to celebrate the festival. Earlier in the day, Vivek Oberoi was spotted taking the deity home. He was welcomed by his father Suresh Oberoi and the family heartily prayed to Lord Ganesha. Joining the celebrations are other actors including Sonu Sood, Tamannaah Bhatia and south Indian star Nagarjuna Akkineni. Changing the trend of last 14 years, the Khandaan will not be celebrating the festival at their place, Instead the family will go to Arpita Khan’s house for the celebrations. 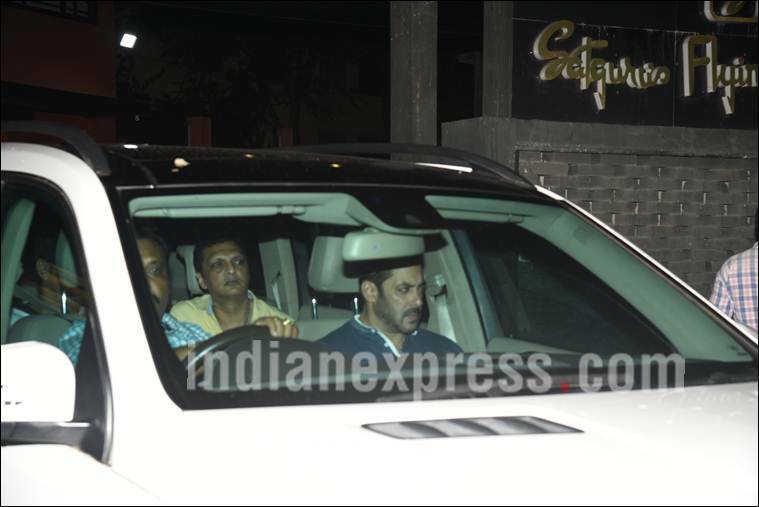 Salman Khan who is back in the town was spotted visiting sister Arpita’s house for Ganesh Darshan. The actor also appealed people to move towards eco-friendly celebrations. “People who buy idols made of POP (Plaster of Paris), need to understand the hazards. The sight on the following day of the immersion is pathetic. All that you have done with love and affection and prayers is lying around at people’s feet. Have an eco-friendly Ganpati and save the environment because you are responsible for it,” quipped Rithvik. 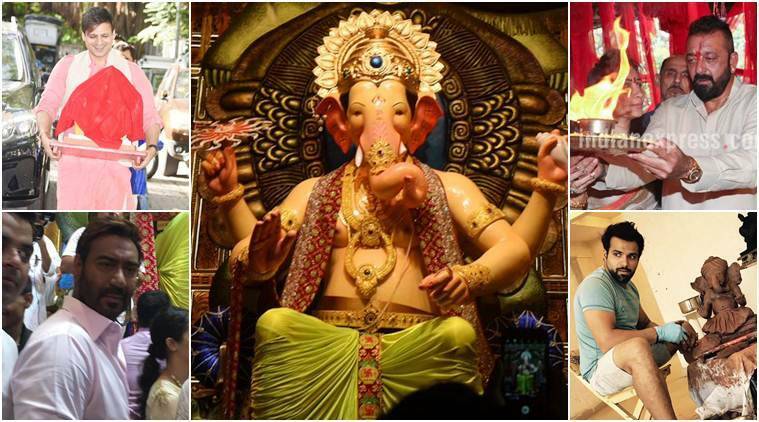 Arjun Bijlani, who was last seen in TV show Pardes Mein Hai Mera Dil, had a great time bringing the idol of Lord Ganesha home with his munchkin. His son looked adorable as he sang Ganesh Aarti while taking the God home. We are waiting to get updates from other celebrities.